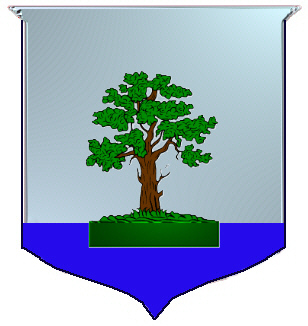 Coat of Arms: Silver an oak tree growing out of a mount surmounted by a blue stripe. Crest: Two hands holding the trunk of an oak tree. Watt is a form of Walter which also gave rise to the surnames Watson, Walters, Waters, Wattie, MacWatt and (mainly in England) Watts, Watkins and Watkinson. In some cases the name can be found in its full form as Walterson. Walter was originally a Germanic forename derived from "walt" (meaning "rule") and "heri" (meaning "army"). Of the various forms of the name, Watson is found the most frequently and it is the 20th most common name in Scotland. 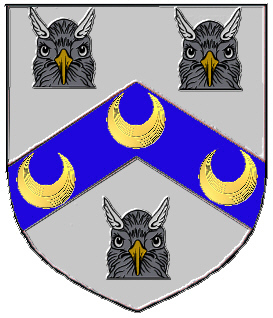 The Watsons have a coat of arms recognised by the Lord Lyon. There were Watson landowners in Edinburgh as early as the 14th century and Robert Watsoun (spelt thus) is recorded in Aberdeen in 1402. Nicholas Watson of Dalkieth (near Edinburgh) held land near Arbroath in 1450 and Sir Donald Watsone was a church presbyter in the diocese of Moray in 1493. Walter Watson was a burgess (freeman) and landowner in Dumbarton in 1494 and a number of his descendants became bailies (senior magistrate) and provosts (mayors). The name became more frequently found in the 16th century and is particularly frequent in the Lowlands and the North-East of Scotland. Wattie is found particularly in Aberdeen and surrounding area and in a fishing village in Banffshire some years ago 225 out of 300 inhabitants had the name Watt. George Watson, who was born in 1654 was the first of many successful bankers in Edinburgh. He left money to set up an orphanage for children and this later became George Watson's College which is nowadays one of the leading private schools in the city. The engineer and inventor James Watt, born in Greenock, is best known for his development of the steam engine and the unit of power "watt" is named after him. The development of radar which played such an important part in the Battle of Britain in 1940 (and the development of aviation thereafter) was due to Robert Watson-Watt who was born in Brechin in 1892. The Watson clan motto is "Imperata floruit" which means "It has flourished beyond expectation". Watt and MacWattie are regarded as septs (sub-branch) Buchanan. Watson was the 20th most frequent surname at the General Register Office in 1995.